A State Duma deputy from the Communist party has called the unregistered extreme right party “Other Russia” an “opposition fake” and an ally of majority controlling United Russia. 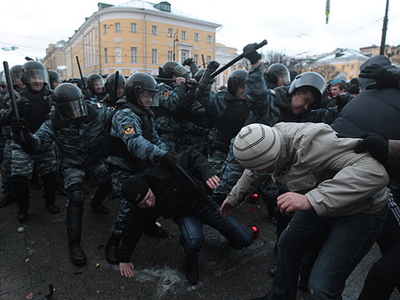 ­Vladimir Fedotkin, head of a local branch of the Communist party in Ryazan, an administrative center 150 km from Moscow, told the Nezavisimaya Gazeta newspaper that Other Russia only plays the role of the opposition party, but in fact does little to oppose apart from petty crimes. Fedotkin is even convinced that a recent rally of Other Russia activists against United Russia policies in Ryazan was organized by United Russia itself. In his opinion, the aim was to “draw people’s attention away from the left wing and to create an illusion of opposition.” Fedotkin also said that within the Communist party there has been an ongoing discussion about the situation, and the suggestion of cooperation between the United Russia and Other Russia has a lot of supporters. 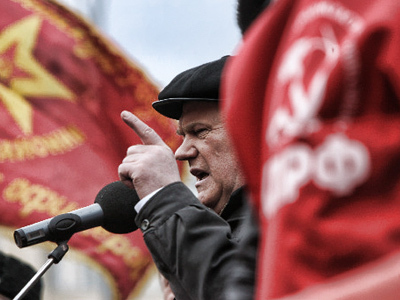 The Ryazan Communist leader says he is acquainted with some members of the unregistered party, and from his personal observations knows that “they have money, which prompts some conclusions.” Fedotkin went on to say that the leader of the Ryazan branch of Other Russia, Sergey Ezhov, has been noticed in informal friendly contacts with members of the ruling party. In response to the allegations, Ezhov wrote on his blog on LiveJournal, “I was surprised to learn that I, it turns out, work for United Russia. Well, at least I don’t work for American imperialists,” he joked. Ezhov has a simple explanation to “the unground statements”. 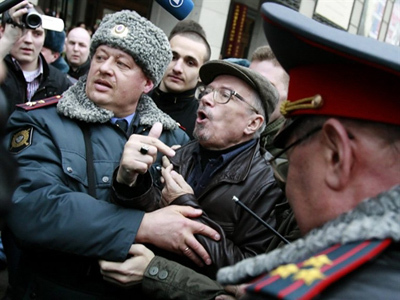 In his view, Communists fear competition on their part because “Other Russia draws the sympathies of protest electorate.” He has also denied any connections to United Russia members. The Other Russia party, founded last summer, was refused registration in the Justice Ministry on grounds of its extremist ideology. 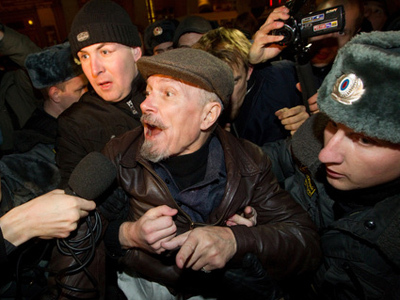 It is headed by Eduard Limonov, former leader of the National Bolsheviks party, banned for the same reasons.